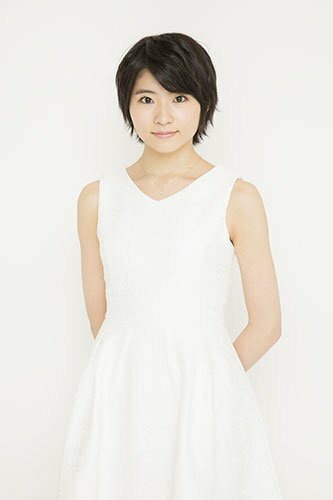 As of December 31, 2016, Japanese idol Sayaka Ichii celebrates her 33rd birthday! And because of this special occasion, I have decided to address this event! Normally, we would discuss celebrity birthdays if they reached a certain milestone such as 40 or 50. But for me being a Morning Musume fan, I will write about Ichii even though she is not even there yet! Japanese Idol Sayaka Ichii is sitting on a mat in a yoga style pose and smiling. We wish you all the best for 2017! This former Morning Musume babe took part in an event called Otona AKB48 Audition. This is an event where a search was being done for members over the age of 30 that would become members for a short period of time. However, ichii did not win the audition. Although she has been one of the less successful Morning Musume members, I think that she is one of the most beautiful members in the group’s history. Ichii has worked as a swimsuit model where she showed her very impressive body! She released her only photo book called Self on February 10, 2002. In that photo book, Ichii is seen being happy or relaxing poolside as she is in a one-piece swimsuit! Ichii has also spent some time giving birth. She has raised two daughters by herself since filing for divorce from guitarist Naoki Yoshizawa. In August 2012, Ichii married a 37 year-old hairdresser and then announced that she was pregnant for a third time. She would eventually give birth to a baby boy. On November 10, 2016, Ichii announced that she was pregnant for a fourth time. The baby is due in spring 2017. Until then, she can relax and enjoy herself knowing that she celebrates another birthday with her family! Happy Birthday Sayaka Ichii! This entry was posted in Morning Musume, Sayaka Ichii and tagged Japanese idol sayaka ichii, morning musume, sayaka ichii otona 48 audiiton, sayaka ichii pregnant 4th time, sayaka ichii self photo book on December 30, 2016 by avahanian. The girl group Morning Musume (now known as Morning Musume 16) came out with what was their 54th single called Selfish, Easy Going Jokes of Love. The cover for Wagamama Ki No Mama Ai No Joke Regular Edition Type A.
I am listing the name of the single in English first to make it easier for readers to understand. The single was released on August 28, 2013. The single comes in seven different editions. There are 2 regular and five limited editions of the single. The single is actually called Wagamama ki no Mama Ai no Joke/Ai no Gundan. I would be doing a major disservice if I did not write about this amazing song. This post will also discuss some of the events that have happened in the long history of Morning Musume and how they have survived for so long as a group. The single came out just before Morning Musume celebrated their 16th anniversary as a group. There are different versions of this song including a Masaki Sato solo version and a solo version performed by Ayumi Ishida of Sendai! Ayumi Ishida of the girl group Morning Musume 16 and she is from the city of Sendai. Ayumi is dressed in a bikini for one of her photo book sessions. It also became the 3rd #1 selling single for the group. The last time that such a feat was reached by the group was back in 2001. This was the last single for the group under the name of Morning Musume. The single reached #1 on the weekly Oricon music charts selling 158, 915 copies. The single also reached #41 on the Oricon Yearly Music charts for 2013. It also became the highest selling single for Hello! Project in 2013. This single is the follow-up single to the group’s 53rd single called Brainstorming/Kimi Sae Ireba/Nani mo Iranai. It is a double A-side kind of single and it was the last one to feature Reina Tanaka as a member. Tanaka would graduate from Morning Musume on May 21, 2013 to focus on her other band called Lovendor. And in spite of being overtaken in popularity by AKB48, Morning Musume did not quit as a group and they kept on releasing singles and albums. The group would celebrate its 16th anniversary in September 2013. Their producer TSUNKU would decide to change the group’s name to Morning Musume 14. The reason given for the change is so that fans could know which single was released in what year. For 2015, the group became known as Morning Musume 15. What is even more remarkable about Morning Musume 15 is that they have survived as a group in spite of the scandal that Miki Fujimoto was involved in, the extramarital affair by Mari Yaguchi, and the smoking scandal by Ai Kago. In spite of these personal issues with their members, the group showed their strength and cohesiveness as a unit and continued to sing on stage, record albums, and go on tours. Morning Musume 15 would even go to New York City to hold a concert there. In Japanese culture, you have to sacrifice your interests and take into consideration what is best for the group. For example, members of Morning Musume 15 and other idol groups cannot date or be romantically involved with members of the opposite gender. They have to do what is best for the group and not focus on their own desires if those desires go against the rules and policies set forth by management. This kind of dedication to the group is what has made Morning Musume 15 as strong and cohesive as a musical group. Morning Musume 15 now has two of the cutest members. These members are Erina Ikuta and the very cute Ayumi Ishida of Sendai. The group has released 14 studio albums and they have their single called Oh My Wish which was released on August 19, 2015. Since the release of that single, the group has released Tsumetai Kaze To Kataomoi. The song reached the top of the Oricon charts in December 2015. The group has seen one of its members leave the entertainment industry for good. That member is Makoto Ogawa who officially left her agency and retired on March 31, 2015. I wrote a while ago that it was my belief that Miki Fujimoto and Makoto Ogawa were the prettiest singers that Morning Musume had. However, there are so many of them that are pretty that it is tough to say which member is the prettiest one of all. But one thing is for sure: the single just described above is one of my favorite songs from this group. Wagamama Ki no Mama Ai No Joke should have sold more copies than it did because it is a classic, high energy kind of pop song. This entry was posted in Morning Musume and tagged ai no gundan, morning musume, wagamama ki no mama ai no joke on December 15, 2016 by avahanian. Japanese girl group Morning Musume 16 has two new members! They are Reina Yokoyama, 15 of Saitama and Kaede Kaga, 17, of Tokyo. Reina Yokoyama of Saitama, Japan. She is not related to AKB48 member Yui Yokoyama. The audition for the 13th generation actually started back in January 2016. Initially, no one was chosen. But the auditions were resumed back in June 2016 and Yokoyama and Kaga were chosen. These two girls were chosen from Hello! Project Kenshuusei. This is the training program that these girls are a part of before they audition to become members. Kaede Kaga of Tokyo and one of the new members of Morning Musume 16. Congratulations to Morning Musume 16 as they finish the year on a very positive note! They now have 60 singles including Tsumetai Kaze to Kataomoi/ ENDLESS SKY / One and Only which reached the top of the ORICON Music Charts! They have also released memorable singles such as Morning Coffee, Kimagure Princess, and Wagamama ki no Mama Ai no Joke. There are several versions of that song including one of them that was done by 10th generation member Ayumi Ishida of Sendai! Morning Musume has had many significant events happen in their history. I’ll just mention some of these events here. Morning Musume has had 12 generations of members. They have had several band leaders. One of the group’s members Asuka Fukuda left the group in 1999 after spending the shortest amount of time with the group. She was out of the public eye for many years until she resurfaced in 2011. In 2011, it was revealed that Asuka Fukuda had formed the band called Peace$tone. Several of the former band members have gotten married including Risa Niigaki who got married to actor Yoshikazu Kotani in July 2016. What is perhaps more significant but may be forgotten by some Morning Musume fans is that these members have expanded their reach in the entertainment industry and released photo books. For instance, former member Risa Niigaki released her photo book called Ascension while she was still a member of Morning Musume. That photo book featured Niigaki displaying her bikini body and she is really cute! Former member Natsumi Abe has released 12 photo books including her latest one called Fin No Hito. The photos for that photo book were taken in Helsinki, Finland in 2015 and this photo book shows that Abe still can be beautiful even though she is now 35! Abe is so beautiful that I can say she looks like a goddess!! Words can’t describe how beautiful she really is!! Morning Musume 16 is no longer Japan’s most popular girl group but they are still relevant today almost 20 years after their formation! This entry was posted in Morning Musume, morning musume 16 and tagged kaede kaga, morning musume, morning musume 16, morning musume 16 13th generation members, reina yokoyama on December 12, 2016 by avahanian.